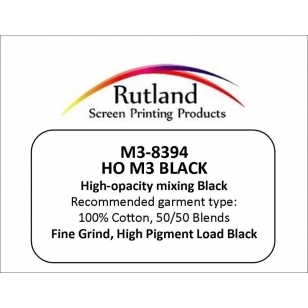 The M3 Ink Mixing System is a non-phthalate finished ink mixing system. They are opaque colors resulting in excellent coverage on dark garments. The tackfree formula allows printing through a range of mesh counts without the need for a viscosity modifier. Use a white underlay when printing on dark fabrics for that extra “pop” in brightness. 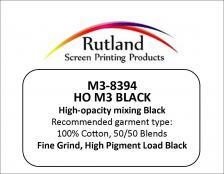 No build-up formulations ensure the highest print efficiencies without down time for wiping screens.